See things clearly. Get your new eyeglasses or contacts from Biscayne Optical in Miami, FL. 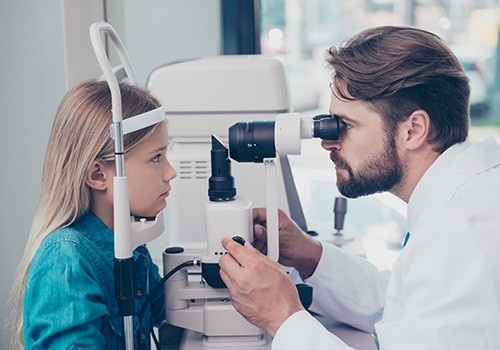 Apart from our prescription and nonprescription eyewear selection, we also take great pride in offering reliable eyeglass repair and comprehensive eye exam. We are up-to-date on all lens products, enabling us to advise you on what are the newest advancements that fit your lifestyle and needs. We carry brands like Gucci, YSL, Chopard, MC, Givenchy, John Varvatos, Silhouette, Safilo and More! Here at Biscayne Optical, we are not only after sales. Your clear vision, optimal eye health, and satisfaction remain to be our main priorities. If you are unhappy with your frame selection, you have 30 days from the date of purchase to exchange your eyewear. Just bring back the merchandise in its original condition, and we will make things right. We can repair, adjust, or replace your glasses. For your added convenience, our products come with a one-year warranty. This guarantee does not cover patients’ own frame, scratches, accidental damage, or theft. Enjoy having a visual performance at an optimal level. Come to our optical clinic today, and let our eye doctor do an inclusive eye examination. To schedule an appointment, feel free to give us a call or send us a message via email. We are more than glad to provide you with high-quality eyewear and eye care services.